Central Silk Board (CSB) Recruitment 2016, In the Central Silk Board (CSB) Recruitment 2016, Current Govt. Jobs for Upper Division Clerk/ Field Assistant/ Junior Engineer & etc. at the Central Silk Board (CSB) Recruitment 2016. Central Silk Board (CSB) Recruitment 2016 Upper Division Clerk/ Field Assistant/ Junior Engineer & etc. Posts November 2016, Central Silk Board (CSB) Recruitment 2016 have been decided to recruit Upper Division Clerk/ Field Assistant/ Junior Engineer & etc. Posts Advertisement Date 08th November 2016. Important Dates which candidate should remember when applying Central Silk Board (CSB) Recruitment 2016 as follows. 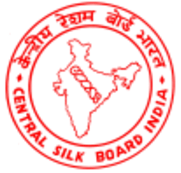 Probably you are waiting for this Central Silk Board (CSB) Recruitment 2016 Notification you can apply online Central Silk Board (CSB) Recruitment 2016 posts Upper Division Clerk/ Field Assistant/ Junior Engineer & etc..
Name of the Posts – Upper Division Clerk/ Field Assistant/ Junior Engineer & etc. For the post of Upper Division Clerk/ Field Assistant/ Junior Engineer & etc. – Indian. Now the question is who can apply the Central Silk Board (CSB) Recruitment 2016 Job, -Well those are planning to apply for this / these Upper Division Clerk/ Field Assistant/ Junior Engineer & etc. Posts should have the following minimum eligibility criteria. Also check the advertisement details. >> HOW TO APPLY ONLINE CSB RECRUITMENT 2016 ? Also send Hard copy of Online Application form along with photocopies of relevant documents & experience certificate to the Member-Secretary, Central Silk Board, Ministry of textiles, Government of India, Hosur Road, B.T.M. Layout, Madiwala, Bangalore – 560068 on or before 09.12.2016.